Friday, June 29th marks the date award winning Darin & Brooke Aldridge will release their new single entitled “Everytime You Leave”. 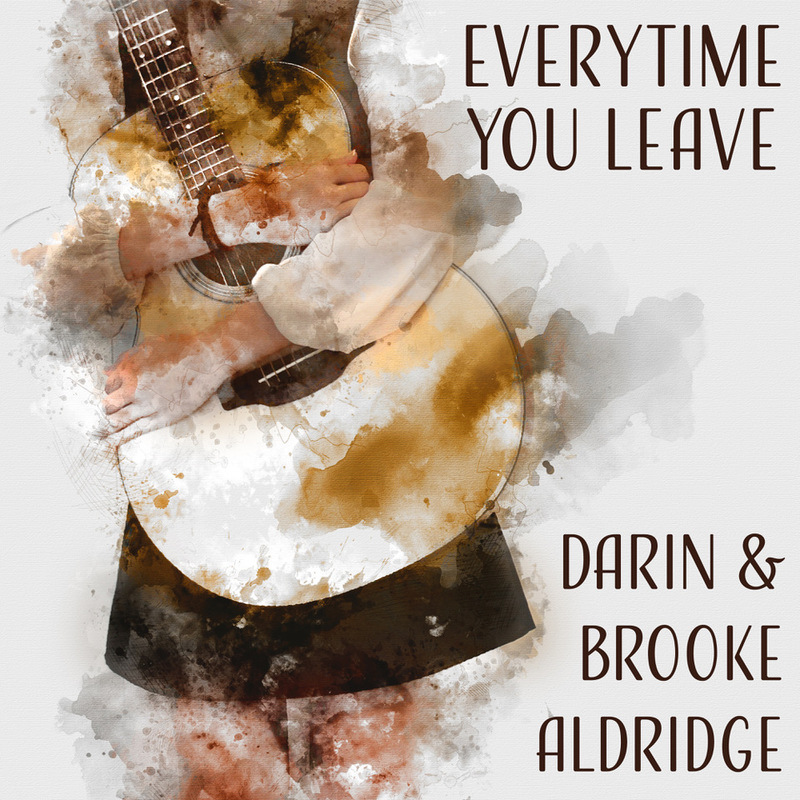 Darin & Brooke Aldridge bring back a classic country sound with their latest single, “Everytime You Leave.” With the added rich yet sentimental harmonies of acclaimed vocalist Jimmy Fortune of The Statler Brothers, the song takes listeners back to country music’s roots. “Everytime You Leave,” written and recorded by Charlie and Ira Louvin and later by Emmylou Harris and Don Everly, tells of a couple going through ups and downs and the emotions that come with holding on to love despite troubles. Brooke, the reigning IBMA Vocalist of the Year, takes the lead with the harmonies of Darin and Fortune adding depth and texture to the music, giving “Everytime You Leave” a timeless feel. The song is performed by an elite line-up of players including Darin Aldridge (winner of the 2017 IBMA Momentum Mentor of the Year) on mandolin and guitar, the unique guitar work of Zeb Snyder (Snyder Family Band), accomplished bassist Mark Fain (Ricky Skaggs and Kentucky Thunder/Chris Hillman), and the skillful fiddle and vocal harmony of band member Carley Arrowood, winner of the 2017 IBMA Momentum Instrumentalist of the Year. The song also welcomes the sophisticated style of newest band member Matt Menefee (Cadillac Sky/ChessBoxer) who brings a New Grass touch to the banjo work.